The Alhambra of Granada is a complex which is considered as the most spectacular Moorish citadel of the world. 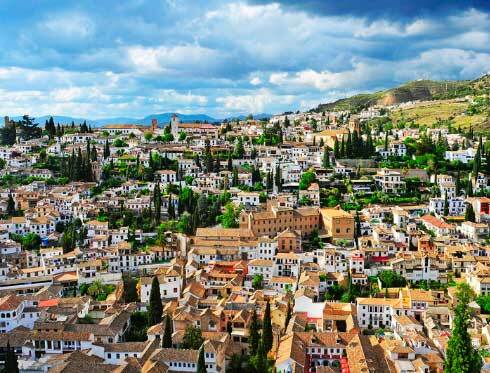 Granada is a very symbolic city to Muslim, Christian and Jewish cultures. For centuries, it was the scene of ambitious battles for conquering the Iberian Peninsula. This has left an important cultural legacy of sumptuous architectural works but without any doubt the Alhambra stands out from them. The Granada City Tour train will approach our customers not only to this majestic monument but also to other outstanding points of interest such as the Generalife, the leisure place of the Nazari Kings. It was also used as a garden to provide the royal kitchen. 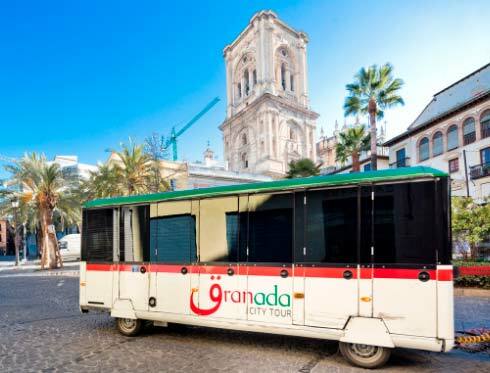 Knowing the history of both monuments is essential to understand the history of Granada. What is more, you can complete your visit with the free walking tour around the historic centre of the city. 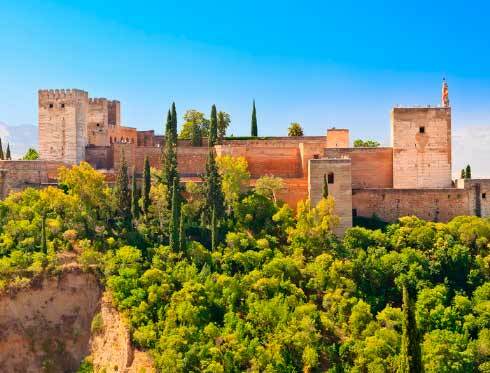 Enjoy the Free Tour departing from the 3rd stop of the Alhambra Route-Daytime, where the Granada City Tour Office is located, and enjoy this fantastic guided tour with departures at 12am and 5pm.